Whilst it is likely that we will agree with most of the comments made in the following articles about Christian Biographies, we cannot absolutely guarantee it. 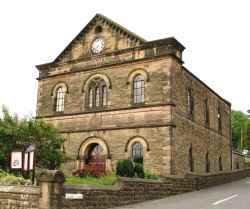 The views expressed are therefore those of the writers, and not necessarily Crich Baptist Church. Please enjoy, but remember, always surf with discernment. Acknowledgement to the source that hosts this material is given under each title.